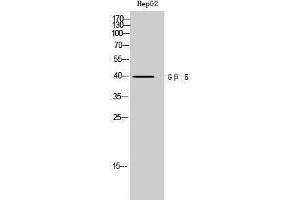 Specificité Gβ 5 Polyclonal Antibody detects endogenous levels of Gβ 5 protein. Attributs du produit Rabbit Polyclonal to Gβ 5. Immunogène Synthesized peptide derived from the Internal region of human Gbeta 5.